Well first off I could not find circle or square pretzels so I went with regular ones. 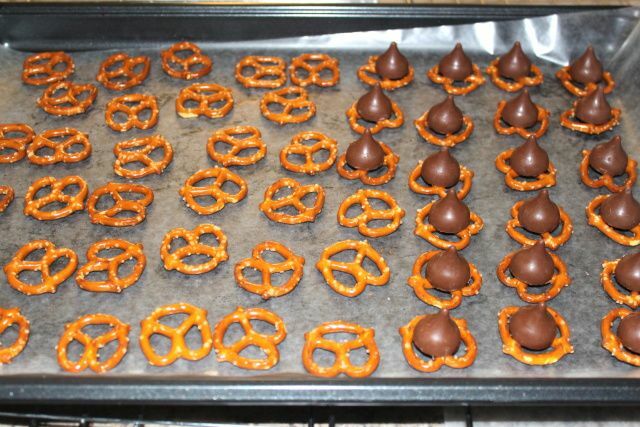 Then I decided I liked carmel kisses better then peppermint, so I tweaked the recipe. Beth later told me that I could have used rolos too. That makes more sense since the carmel in kisses is soft. Either way, these are super yummy and super easy!! Oh you're killing me with all your cookie posts!! 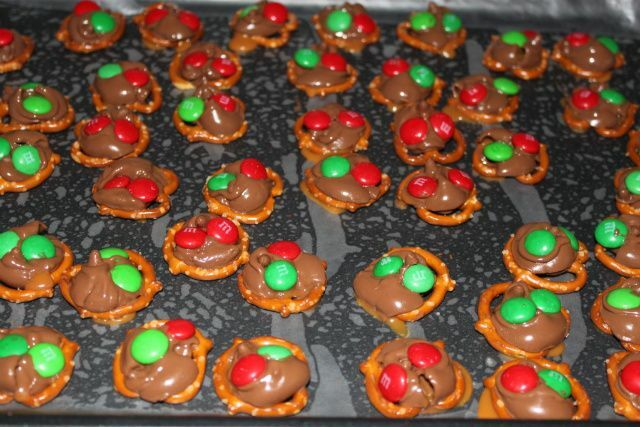 These look super yummy too and what a great and festive idea :) Just in case I won't be able to wish you later, have a wonderful Christmas!